Pet Airways promotional image: image via petairways.com Pet Airways, which celebrated its first all-pet flight less than two years ago, is having financial difficulties according to reports, but they are not the passengers' fault. 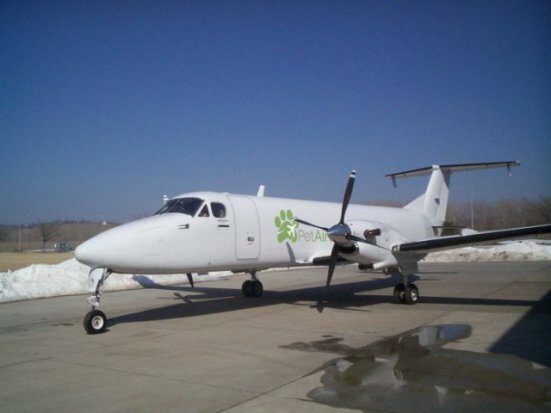 According to the New York Times, Pet Airways, which I covered last in June of 2009, has slowed its service during the last few months, canceling several flights, and leaving stranded pets and very unhappy owners in the lurch. The airline owners, questioned by the Times reporting staff, said that the problems were safety related, and that they were going to find a better, more suitable, plane that is up to their required safety standards. Those pets who missed flights have their own stories, though. Rocky, for example, who is living in a foster home in Los Angeles, lost his passage twice due to Pet Airways cancellations, and his foster mother has not received her money back yet. Rocky's future had looked so promising thanks to the ability of Pet Airways to fly passengers like him. 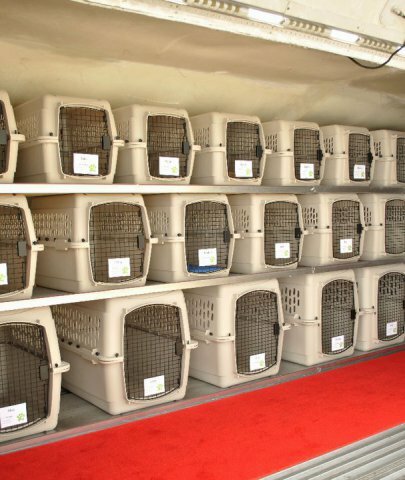 The airline even offered special discounts to adopted pets to fly to their new homes through its Zoe Shelter, named after the founders' beloved dog. 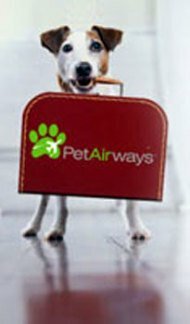 Pet Airways reports no scheduling problems, or any others, on its site, and there are even upcoming flights scheduled in March, 2012 and thereafter. Notes on the airline's Facebook page reveal that the company is presenting a stiff upper lip in interacting with the public, showing no public sign of anything amiss. What's really up for Pet Airways? I don't know, but I'll follow up on this story.